The fifth annual Digital Learning Day will be on February 17, 2016. Find resources to help you celebrate, tell your story, and support digital learners all year long. Organized by the Alliance for Excellent Education, Digital Learning Day is coming soon on February 17, 2016. This annual event, now in its fifth year, offers educators an opportunity to reflect and tell the story -- and amplify the reach of these messages -- about how digital tools are empowering learning in classrooms, schools, homes, and communities. They conduct digital-learning activities and share these with the world. Go paperless for the day, participate in a Google Hangout, get students coding, or explore ideas and resources from Edutopia below -- the options are endless! They set up showcases of digital student work. They share information about digital-learning resources, tools, and strategies. They get online and on social media to spread the word about digital learning. However you are participating, be sure to add your celebration to the Digital Learning Day map, and follow #DLDay on Twitter for updates. Also, register for Digital Learning Day Live to participate in live webcasts, Twitter chats, and online conversations – all coordinated by DLDay Live Emcee Rafranz Davis (@RafranzDavis). National and local leaders, educators, and students will discuss how the digital divide is affecting communities and what is being done to address those issues. Wondering how parents fit into the day? "Engaging Families in Digital Learning Day," from Edutopia community member Gwen Pescatore, explains the important role that parents play in celebrating digital learning and how to involve parents. Watch Edutopia’s video Introduction to Technology Integration to learn how technology use can link students to global audiences, turn them into creators of digital media, and help them practice collaboration skills that will prepare them for the future; then learn more about the research. What Your Students Really Need to Know About Digital Citizenship: Download a PDF on the Nine P’s of Digital Citizenship. For students in younger grades, review a sample lesson about teaching internet safety for students as young as kindergarten. Guidebook for Social Media in the Classroom: Explore 12 ways that teachers are using social media right now to make classrooms more engaging, relevant, and culturally diverse. Work with young children? Discover three age-appropriate ways to introduce social media in the early grades. The Epic BYOD Toolchest: Looking for tools to help with formative assessment, screencasting, content sharing, note taking, blogging, presentation, link sharing, and more? This list of 51 tools should help with locating the right tool for the job. The Flipped Classroom: Pro and Con: Thinking of flipping your classroom? Consider what it is, what it isn't, why it works or doesn't work, and why it matters. 12 Ideas for Teaching With QR Codes: Integrate mobile devices using one of these ideas for teaching with QR codes. 15+ Ways of Teaching Every Student to Code (Even Without a Computer): Find resources to help you teach programming with every student and every age, and take a look at seven apps that can help teach children coding skills. The Minecraft Cell: Biology Meets Game-Based Learning: Learn how educators use Minecraft, the popular digital sandbox game, to help students explore, create, imagine, and meet learning goals. Designing a School Makerspace: Start thinking about how to set up a makerspace at your school. Need to start smaller? Find tips for how to make use of a classroom-based wonder shelf and suggestions on 20 maker technologies and tools. Edutopia's flagship series highlights practices and case studies from K-12 schools and districts that are improving the way that students learn. Check out two recently covered schools, and find out how they are making gains via effective technology use. Blended Learning: Making it Work in Your Classroom: Discover how P.K. Yonge Developmental Research School in Gainesville, Florida, integrates digital content with face-to-face learning and how this has resulted in impressive gains in student achievement. 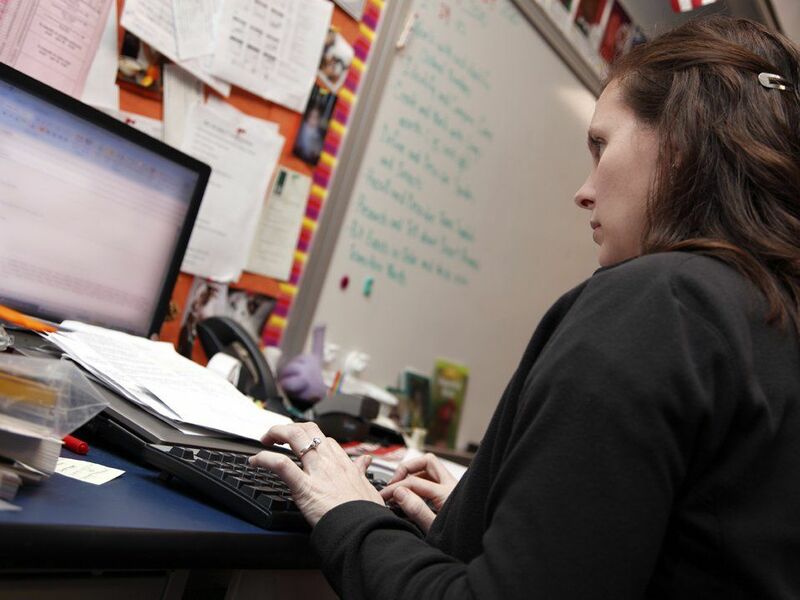 Instructional Coaching: Driving Meaningful Tech Integration: Learn how Hampton High School in Allison Park, Pennsylvania, has employed a full-time instructional coach to support teachers by providing resources, support, and know-how on working with technology. How will you use this opportunity to reflect and celebrate? We’d love to hear about your ideas and plans in the comments.